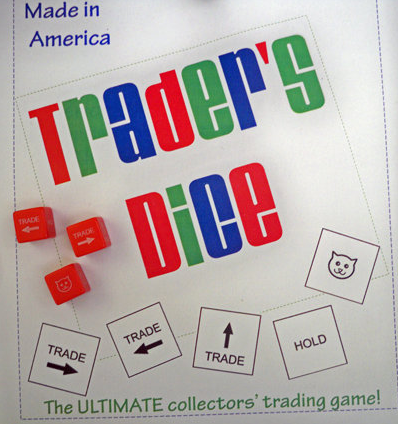 Trader's Dice is the ultimate collector's trading game. Everyone wins! Trade fat quarters, jelly roll strips, charm squares, patterns, notions, thread- anything. Each dice set contains 3 die (red, blue and green) Made in the USA. Great for shop-hops, guilds or in store games anytime!